Fritz and Phil say these are the style for 56. 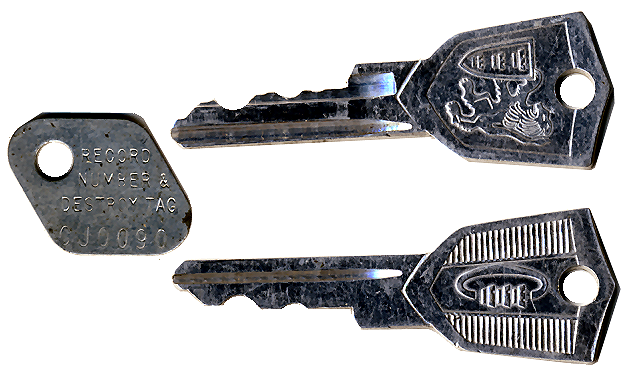 Jack Boyle says: "The photos are of my 1955 C300 original factory key. 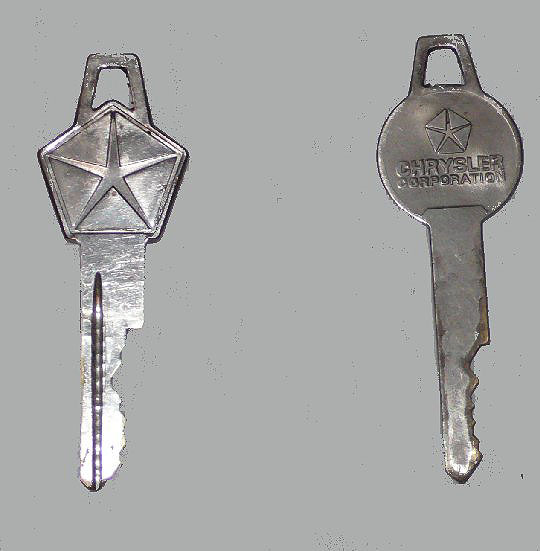 The DCPD wore off this key long ago. 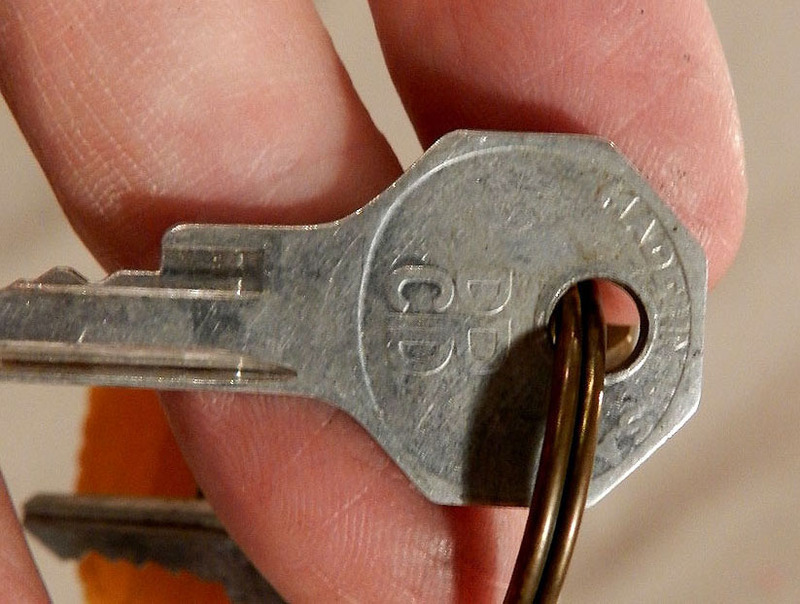 The key is brass. You can see it is just about to break in two." The picture is from my 57. Steve Albu says his F has this style. 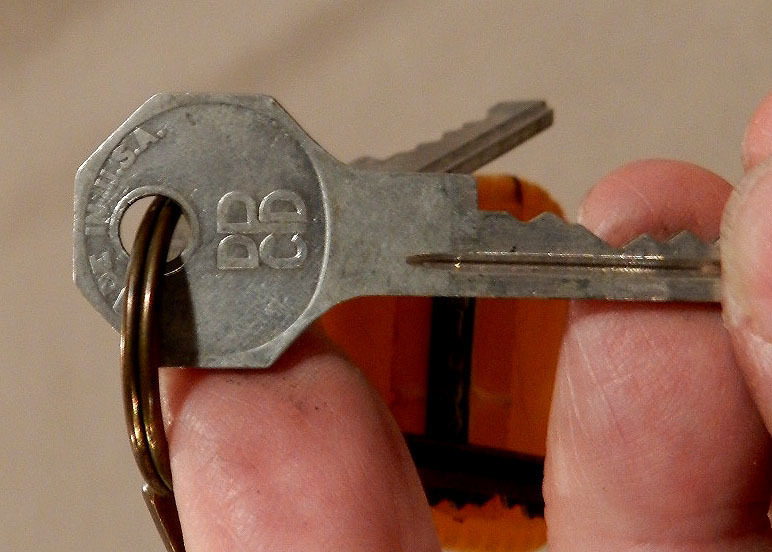 A set of new keys from Paul Holmgren. The picture is from my 62. Carl and Fritz say their J's had this style. 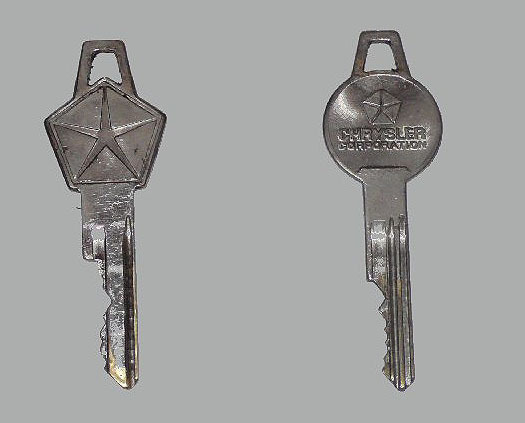 Steve Simon says: "These are the original keys from our 61 G.
They are aluminum. Not sure why my iPhone made them look so gold." with a silver color plating which has worn off. The picture is from my 64. Don Warnaar says this is correct for 65. 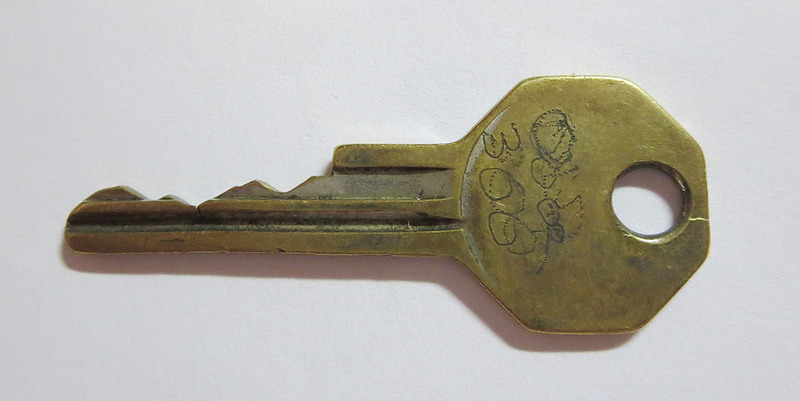 Original K keys from Tim Tomlinson. 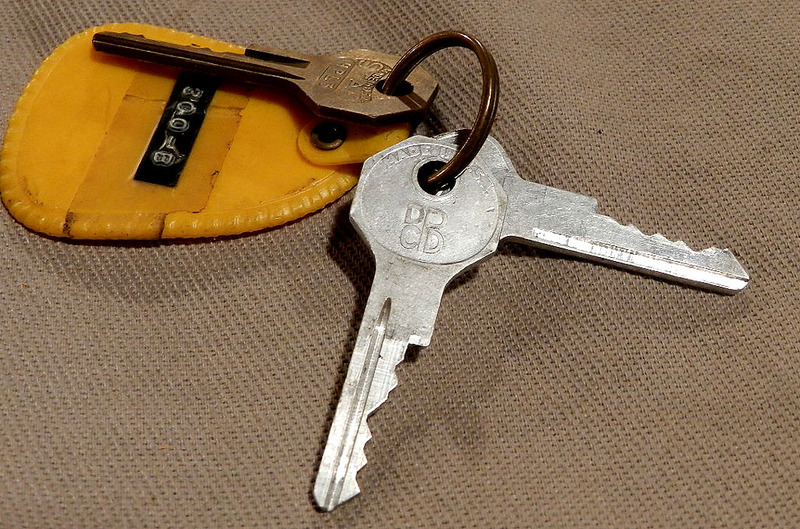 Original K keys from John Holst. for their pictures and responses.